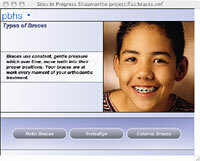 Translucent clear ceramic braces are the most popular with adults. You have to be very close to someone to be able to see them. Yet, because they are a ceramic material, they are more fragile. Call us today at Masuda Orthodontics Phone Number 925-934-3583 with any questions or to make an appointment.